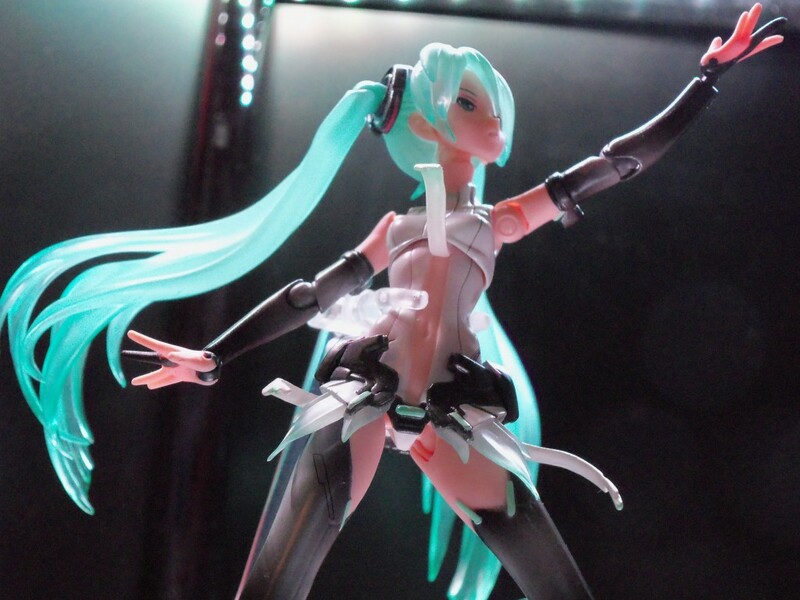 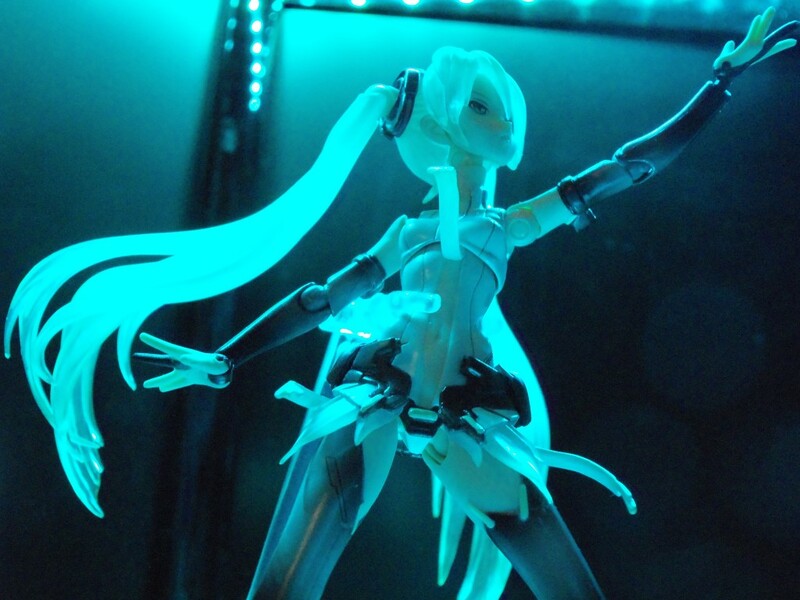 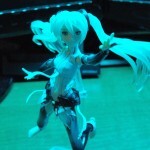 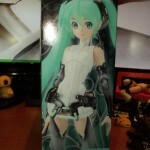 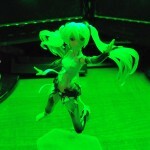 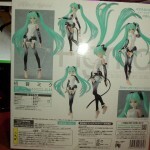 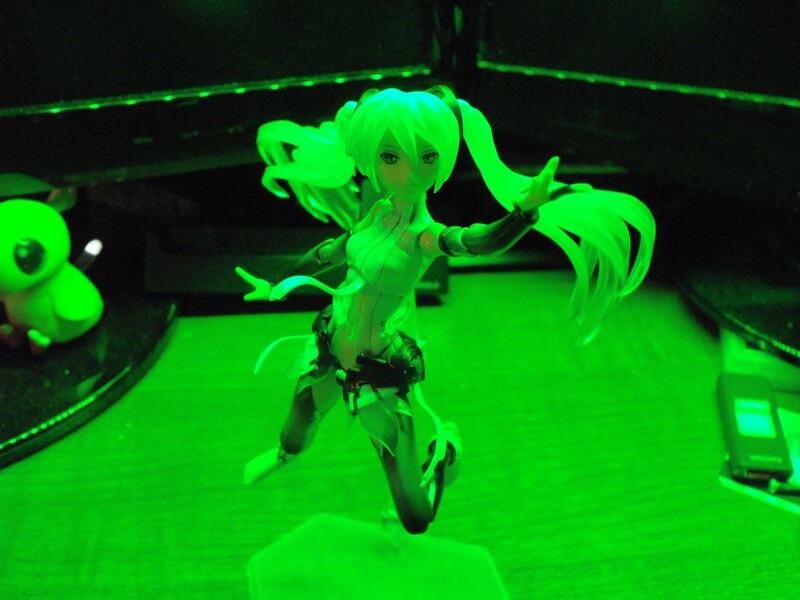 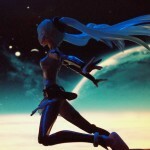 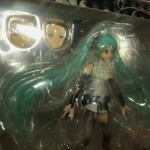 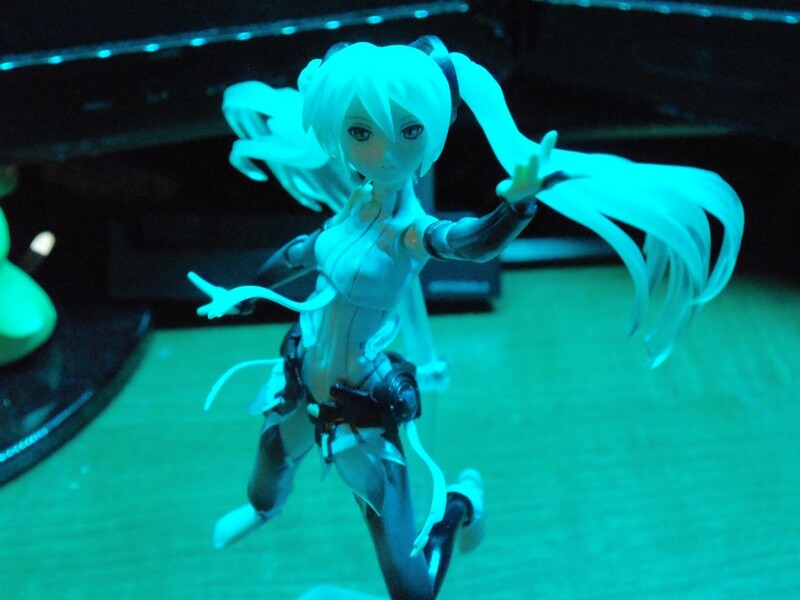 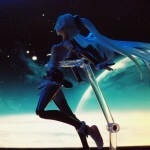 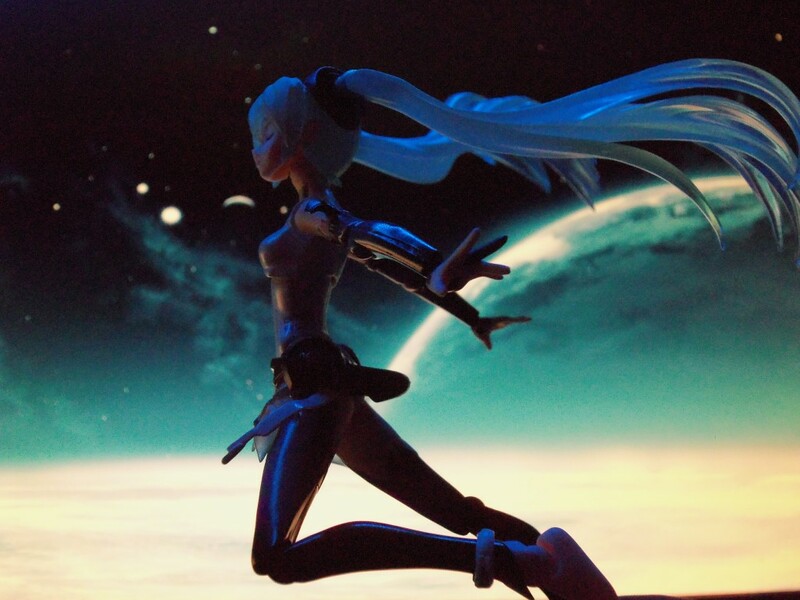 The World Of Ktdata » Blog Archive » Digital Diva Hatsune Miku Desends! 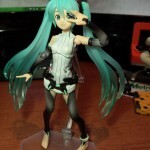 Digital Diva Hatsune Miku Desends! 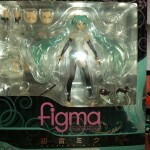 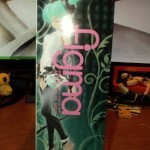 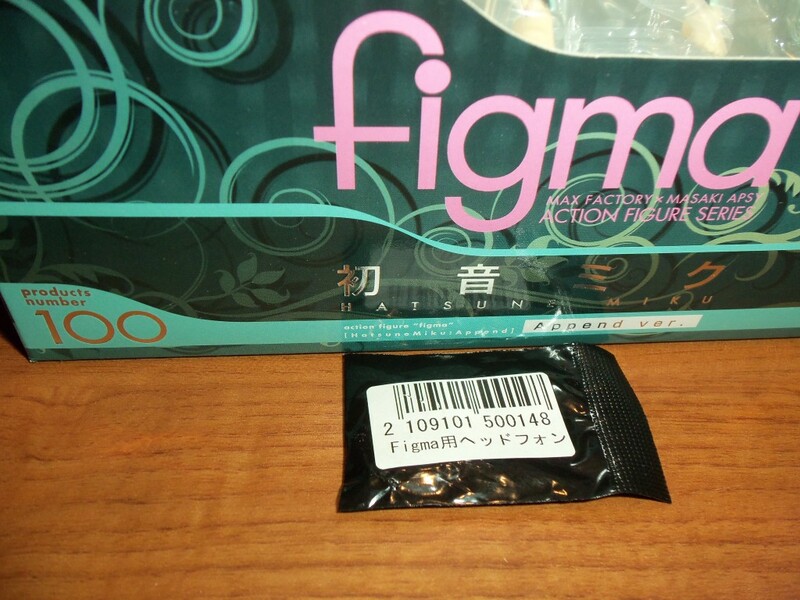 This Figma marks the 100th Figma to be released, and for the 100th they had Miku Hatsune be the lucky number. 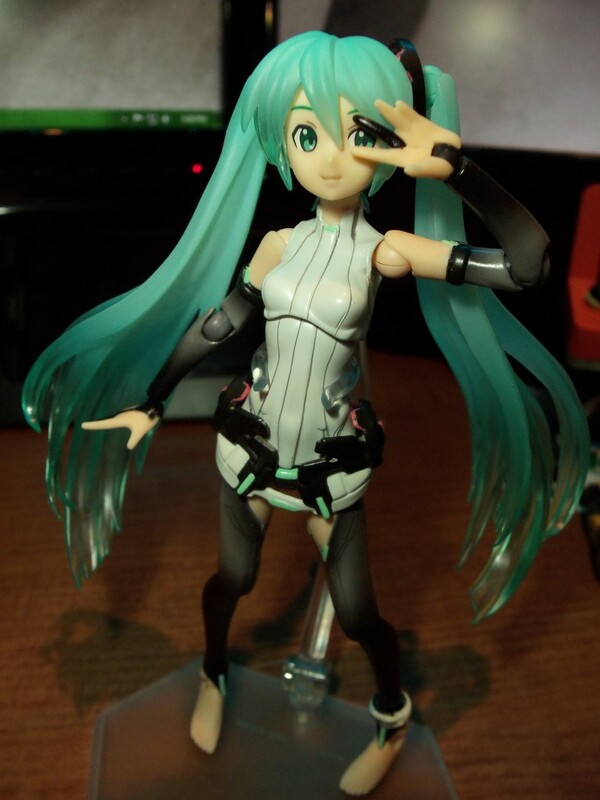 Also with this release, there was an added bonus for a few websites. 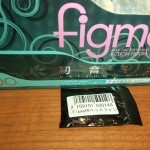 There was an added Head Phones that came in, Black, Grey, or Brown. 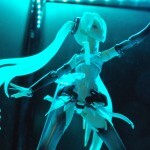 Now, so far every Figma to be released so far has one or two things about it that, well are quaky. 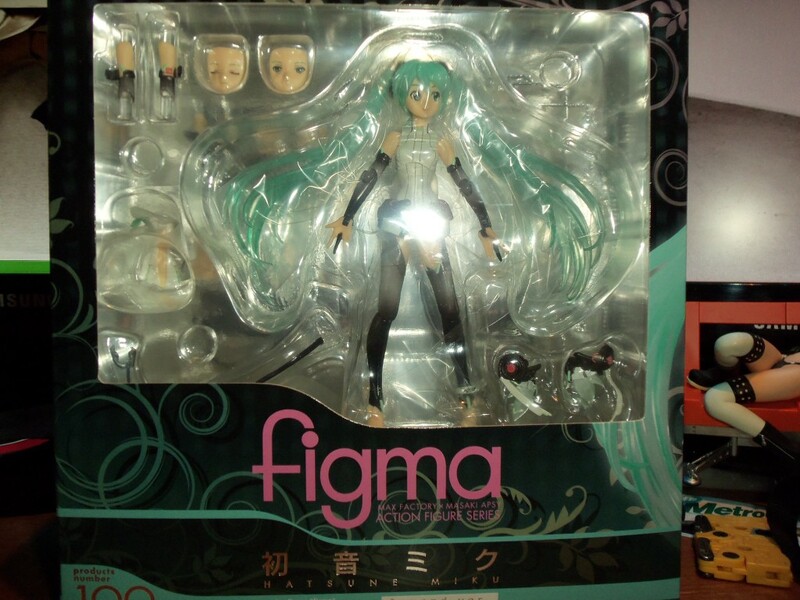 And this Figma i really can’t find anything really wrong with her. 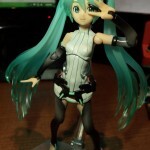 Her transparent hair is well done, the joins are very solid, and the head with the hair even straight to the sides can hold there own. 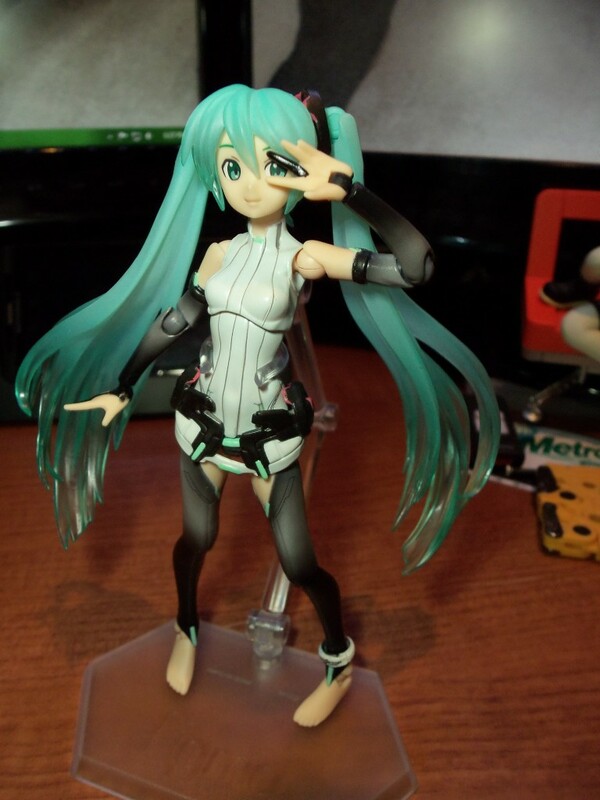 I think one of the best things about her has to be her poseability. 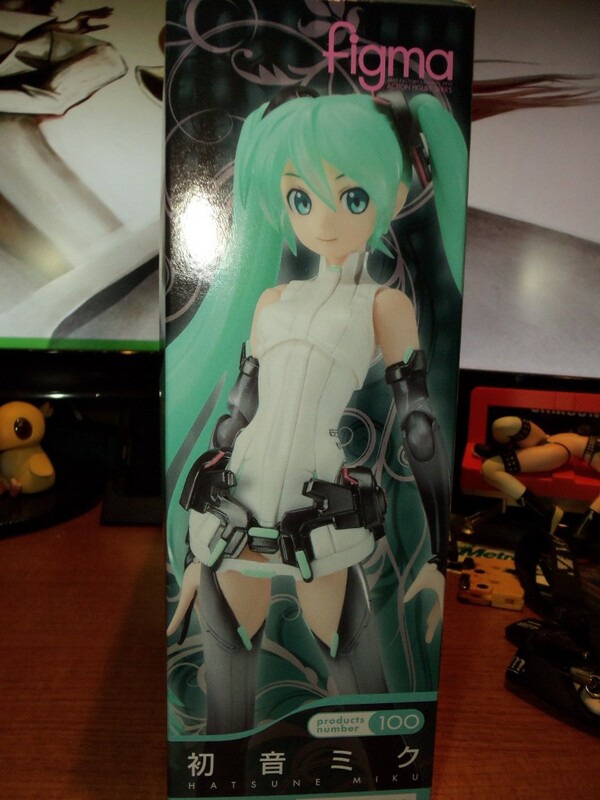 From a few other reviews i’ve read since it’s taken me a while to get her. 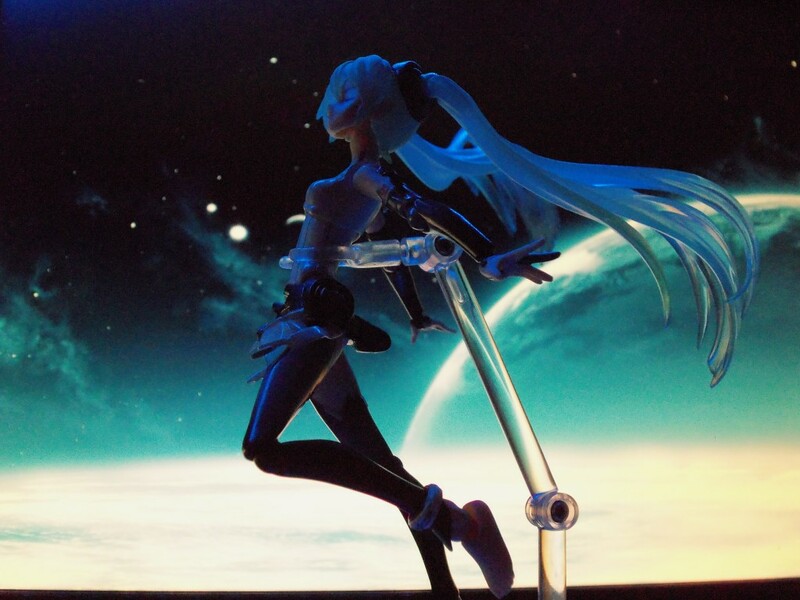 Most of them said on how beautiful she is or how much they liked it without really saying why. 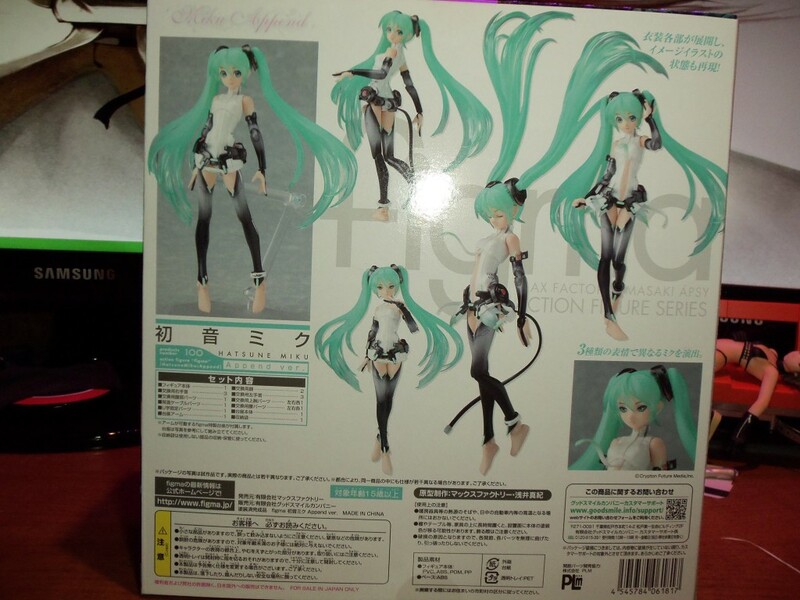 But now that i’ve got her, i can see why who have got her can’t really express how cool this figure is in words alone. 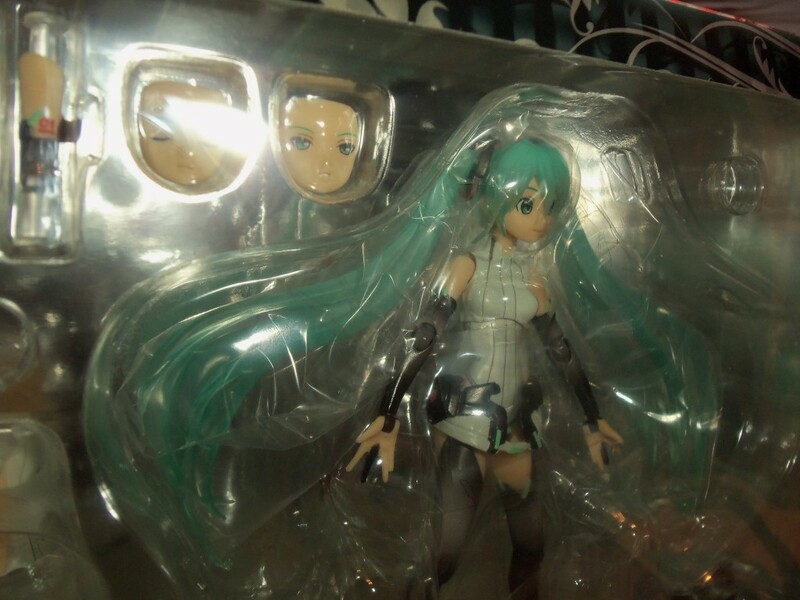 Coffins are for more than just to sleep in.